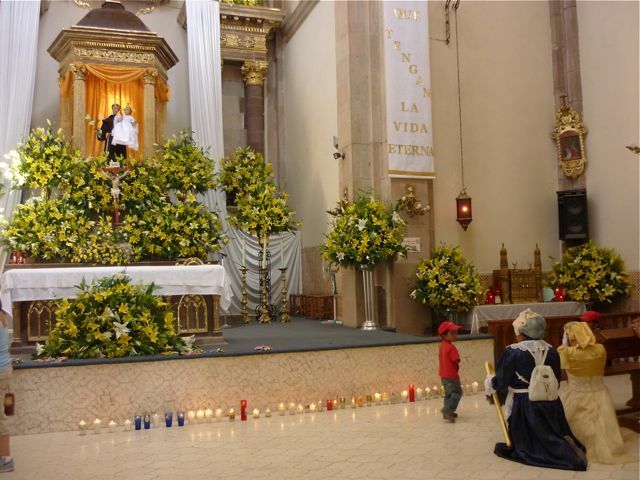 Every June in San Miguel de Allende, they celebrate the feast day of San Antonio de Padua with first, Rockets beginning at about 4am, followed by religious processions and masses and a full size carnival with lots of kiddie rides, ending a week later with the Locos blessing and Parade. Ten years ago this parade lasted about thirty minutes and was a rag tag group of neighborhood youth dresses as indians, pirates, skeletons, nothing so elaborate as you see now. 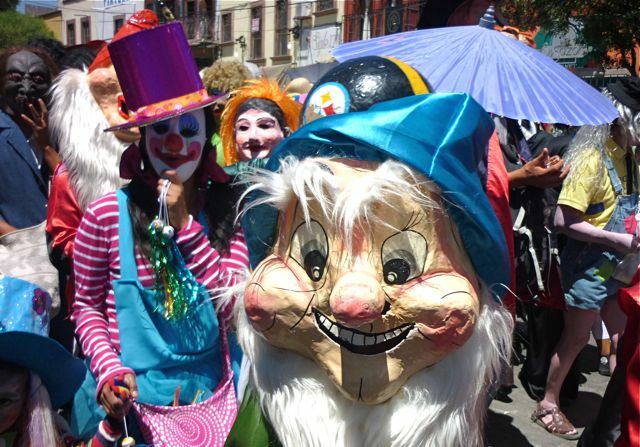 It has grown into a full blown major parade with whole neighborhoods spending a good part of the year creating colorful elaborate costumes around a theme as you’ll see in the video. They say about 10,000 people participate in it now. 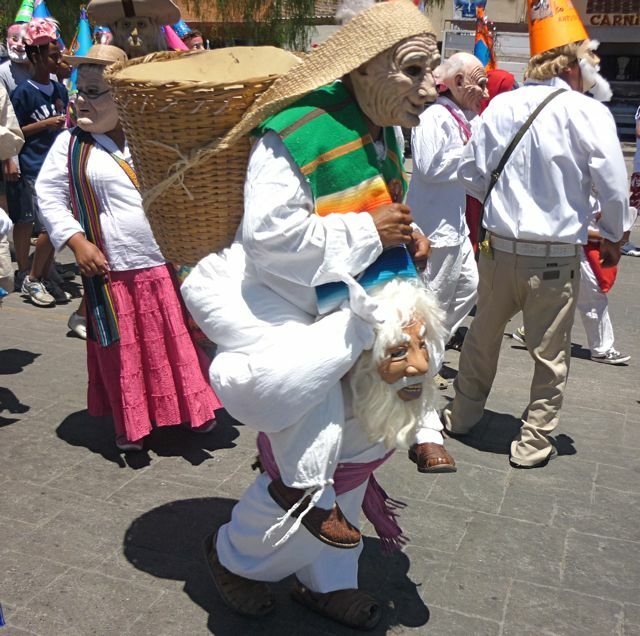 They begin about a mile and a half outside of the center of town, ending up in the Jardin (the town plaza) to dance and have some fun. The parade itself takes a good couple of hours or more to loop through the town. They know how to have fun!